Almost 85% of international travelers access Argentina through Ezeiza International Airport, which sits outside of Buenos Aires, the capital city. Travel in Argentina can be done for as cheap as $30 a day, though one could easily spend 10 times that on the most luxurious amenities. 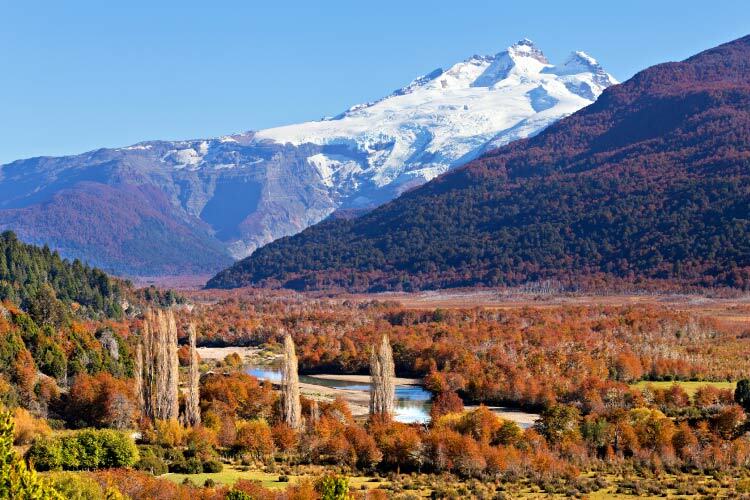 Argentina is an incredibly diverse country in terms of weather patterns, but most of the more popular tourist areas experience temperatures of 15 to 21˚C (60-70ºF) from November through February, and -4 to 2˚C (25-35ºF) from May to August. Most travelers come during the warmer months, and many purchase soccer merchandise, street crafts, or wine. Since the 1980s, the South American country of Argentina has risen in popularity as a haven for backpackers, expats and any traveler seeking something a bit less touristy. Often, visitors are attracted to Argentina’s massive, sparsely populated countryside. Don’t be fooled by all the open space, however, as Argentina boasts several major cities, most notably Buenos Aires, and commands the third largest economy in Latin America. Spanish is the country’s most widely spoken language, a direct result of the Spanish colonization of South America. Argentina, like most South American countries, has a history with several dominant groups. Due to its southern position in the continent, the country has always been sparsely populated, though several small groups of indigenous people did occupy the land. During the early 1500s, Spanish presence began to increase in Argentina, though the Spaniards paid little attention to the country as it never bore as much gold as Peru or Bolivia. In fact, the Viceroyalty of Peru held control over the country for some time. In the early 1800s, Argentina won its independence, but soon fell into a lengthy civil war. The war ended in the 1861, and Argentina soon took huge steps forward economically and culturally. Juan Perón took control of the country during the 1940s and instituted Peronism, a successful socialist political movement. Perón resigned due to military pressure in 1955, and the country soon fell under strict military control. During this period, the government fought with left-wing political activists regularly, and some 22,000 people were killed in what was known as the Dirty War. In the 1980s, elections were restored, and since the early 2000’s has enjoyed political stability and wealth. Argentina mostly attracts travelers on two fronts: its enlightened cities and its gorgeous countryside. Buenos Aires, Córdoba, and Rosario all have well-developed arts scenes and fantastic travel amenities. Meanwhile, the Andes Mountains offers some of the world’s best skiing and hiking. Southern Argentina (and some of Chile) are referred to as Patagonia and are extremely sparsely populated. Argentina also owns a handful of islands and a portion of Antarctica. Argentina’s capital city, Buenos Aires, is undoubtedly the country’s most popular travel destination. The city is divided into 48 districts, called barrios, with central Microcentro typically attracting the most tourists. 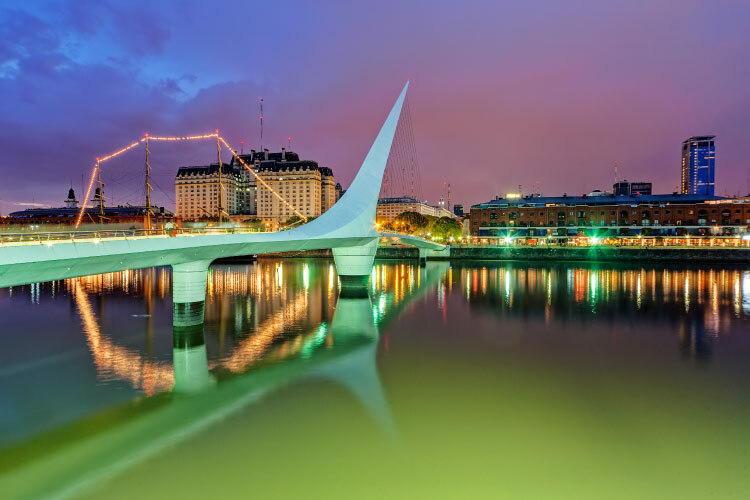 However, the true joy of Buenos Aires undoubtedly comes from exploring its winding streets, stopping in one of the many local cafes, or shopping at one of the many boutiques. Buenos Aires also has a large nightlife scene, with numerous bars and clubs catering to tourists and locals. The city’s strong pro-homosexual policies have made it one of the most popular gay travel destinations in the world. Seeing as Argentina contains a sizeable portion of the world’s longest mountain chain, it’s hardly surprising that travelers often come to ski at one of the many world class resorts. One of the most popular skiing destinations in Argentina is San Carlos de Bariloche. Located on Nahuel Huapi Lake, the town offers golf, boating, and hiking, in addition to a wide range of skiing options. Furthermore, the community is located within Nahuel Huapi National Park, Argentina’s oldest natural park. Nahuel Huapi National Park is a great introduction to the Patagonian portion of the Andes Mountains, without actually having to trek through thousands of miles of wilderness that typically defines travel in Patagonia. Argentina also holds Ushuaia, commonly referred to as the southernmost city in the world. 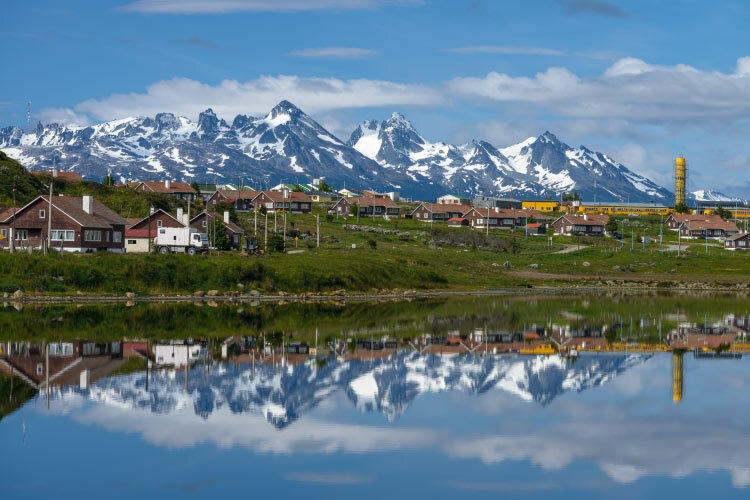 Located in Tierra del Fuego at the far southern tip of the continent, Ushuaia is an important port city and often the last point of refuge before trips to Antarctica. However, there is much to do in the city itself, including participating in the thriving arts scene or enjoy skiing at a nearby resort. Ushuaia also features a number of national parks, most notably Tierra del Fuego National Park. The famous End of the World Train services both of these locations, as well as other towns in the area; many travelers find the train ride alone to be quite a breathtaking experience. 1. San Salvador de Jujuy is widely considered the most culturally indigenous city of Argentina, and most travelers spend time familiarizing themselves with native customs and foods. The Museo Arquelógico is a great introduction to the indigenous lifestyle. The city also played a key role in the fight for Argentina’s independence, and thus numerous historical sites dot the city. 2. Enjoy Mendoza’s Parque San Martín, a lovely green space complete with a zoo. Then, head to Plaza Independecia, the city’s central square which is surrounded by historical sites. The Mendoza Museum of Modern Art is also located on this square. 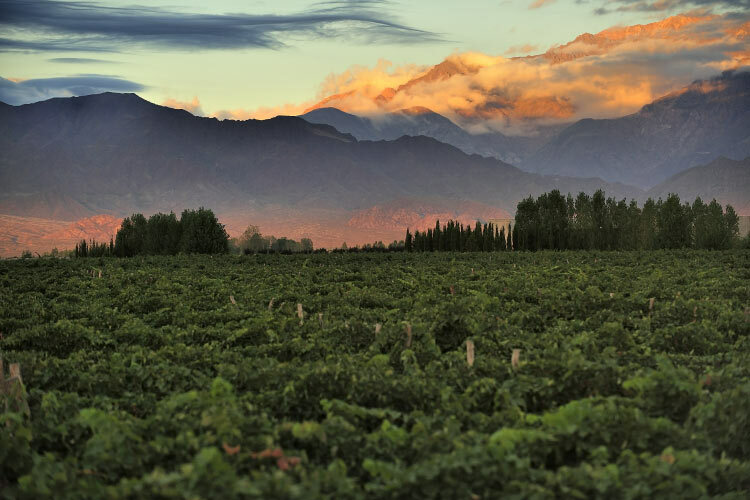 Mendoza is one of the best wine regions in the world, so be sure to sample a glass of genuine Argentinean wine while you’re there. 3. 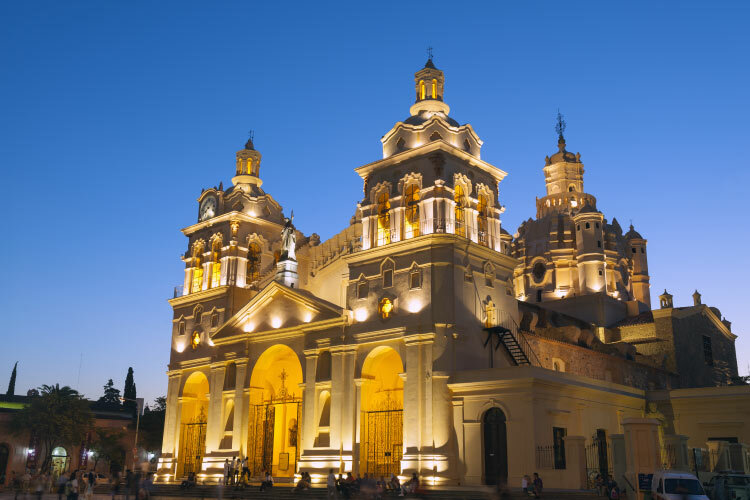 Cordoba is known for the beautiful European style architecture in its centre, especially around Manzana de los Jesuitas, a strip of 17th and 18th century structures. After soaking up Cordoba’s past, head to one of the many “arte bars” to experience the work of Cordoba’s modern musicians and artists. Alternatively, explore Sarmiento Park, the city’s largest green space. 4. Spend some time at Las Florida, Rosario’s riverside beach which is filled with street vendors, though the water is not suitable for swimming. However, a walk down the boardwalk, Paseo del Caminante, is quite lovely. Once nighttime hits, Rosario’s numerous clubs and bars come to life. The city is well known for its salsa dancing, with many establishments offering lessons. Furthermore, Rosario holds City Center, South America’s largest casino. 5. 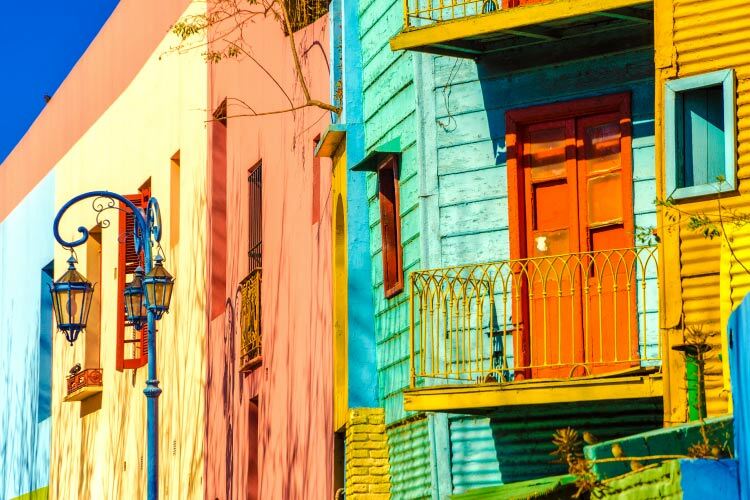 La Boca (pictured below) is a prime destination for most travelers in Buenos Aires, as its numerous street vendors, colourful buildings, and general vibe exemplify what’s best about the city. However, the other districts hold their fair share of treasures, including the large park in Palermo and the political and historical sites of Microcentro. The district of San Telmo holds most of the old colonial buildings, especially near Manzana de las Luces. 6. Mar del Plato is considered one of the best coastal resort cities in Argentina, though this reputation means its beaches get very crowded during summer. Plaza Colón sits right next to the beach and is often filled with street performers. Be sure to explore Mar del Plato’s port and purchase some of the day’s fresh catch. 7. Located near Tierra del Fuego National Park, Ushuaia mostly draws visitors interested in nature. The city’s thriving art scene is not to be missed, as well as its casinos, skiing, and burgeoning nightlife scene. Furthermore, take to the seas in style with a luxury catamaran cruise.